Microsoft Excel does not come with an inbuilt feature to create a watermark in excel. Whether you want to place the word DRAFT, CONFIDENTIAL or any other word on all printed pages from an excel spreadsheet, you will need to trick Excel into doing this. The best way to do this is by using the custom header option. First thing you must do is create a picture (jpeg, gif etc) of the word/s you want to use. Remember to make it a light colour so that the normal text can be seen (lower down we show how you can easily create this picture using Excel and Word). Save this picture file in a convenient place. click on PAGE LAYOUT, then PAGE SETUP and then HEADER AND FOOTER. Click on CUSTOM HEADER and choose the middle section. Go and find the picture you created above. When you click on it it will say &[Picture] in the block. 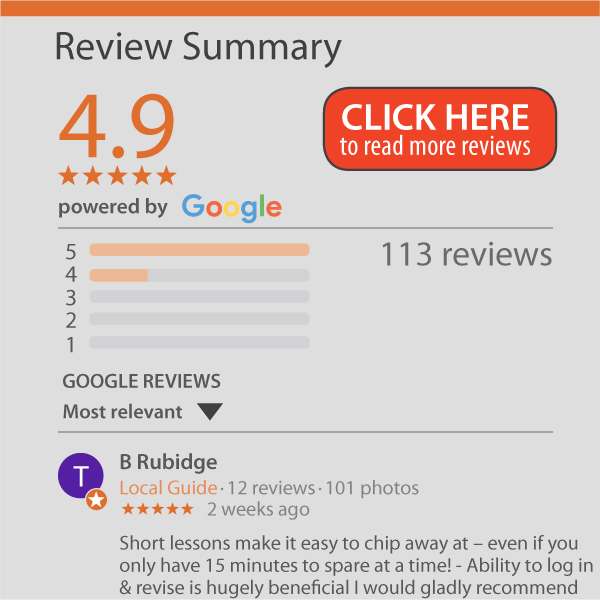 Now click before the & and hit enter as many times as you need (this is an experimental section as you may need to go to the print preview to see if it is in the right place). Keep doing this until you are happy. 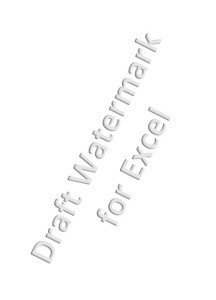 Once you are happy with the placement your document will always print with this watermark on all that wordsheets pages. 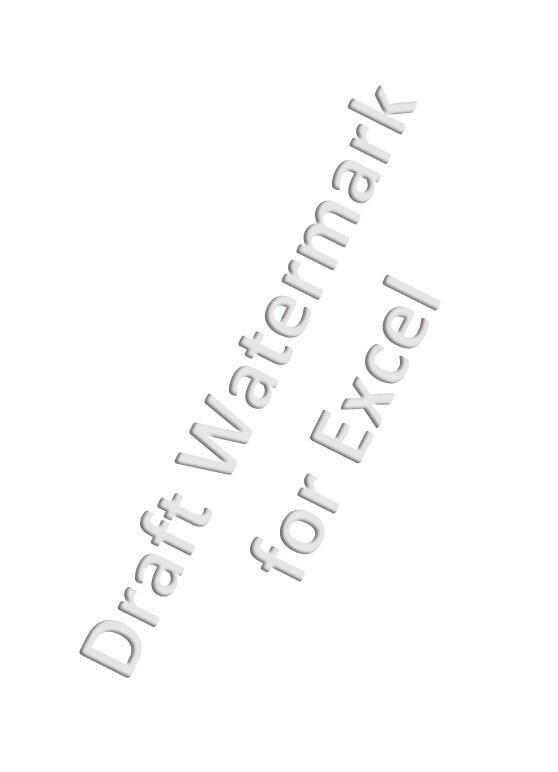 If you are not comfortable making the watermark image in other programs you can make use of Excel and Word, which should already be loaded on your computer. Under the INSERT tab, click on the WORD ART option. In a blank document, click on the Paste Special option (under the HOME tab) and Paste as a picture.